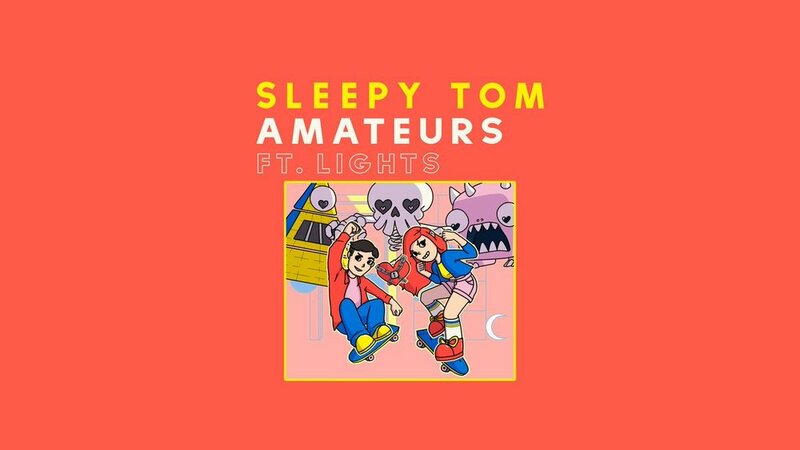 Amateurs is a retro arcade-inspired game made to promote Canadian artist Sleepy Tom’s new single, Amateurs, featuring Lights. Intended to be a casual experience with a mild challenge, users skate back and forth playing as either Sleepy Tom or Lights and knock projectile attacks back at monsters to earn points. The game was launched on March 14 with an exclusive premiere on Billboard Magazine’s website. Initial rough gameplay mockup for Amateurs showing its game loop and themes the artists intended to imply. A couple of early boss concepts are also included. Skateboard pose design process from start to rough final. Initial pixel concepts for Sleepy Tom and Lights to gauge style interest. Our team was provided a colour palette to work with. Our character artist and animator, Liam, used these concepts as reference for the final assets. 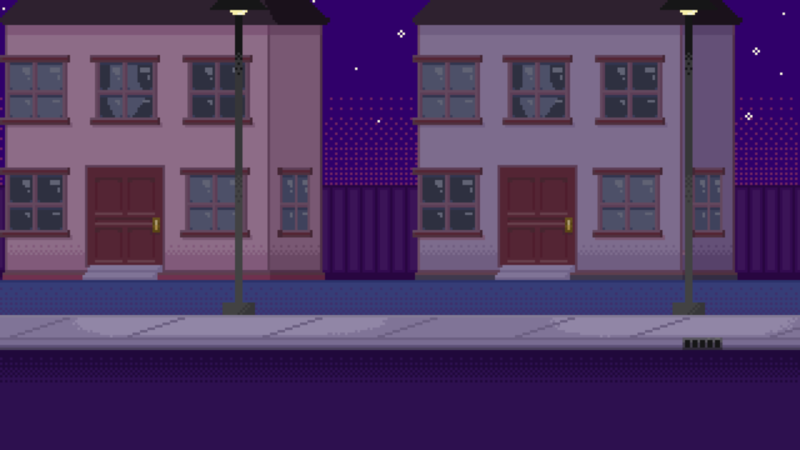 Scrolling game background; a standard suburban neighbourhood at night. The final game cover I illustrated featuring Sleepy Tom, Lights, and all boss monsters. A game that is easy to pick up and play for a variety of audiences. Creating a fairly intuitive design so players can easily grasp what is happening. Making “Amateurs” the focus of the game with fun enough gameplay that players stick around to listen to the song. Creating this game for Sleepy Tom and Lights was a blast! Being in charge of visual direction, I would make concepts to communicate design ideas within the team and with Entertainment One. These concepts were used to gauge interest in stylistic choices and gameplay decisions. Overall, our team was inspired by the comic style of Bryan Lee O’Malley’s popular graphic novel series, Scott Pilgrim. Game menu and character select screen concept: from this menu, players were able to choose between playing as Sleepy Tom or Lights. Arcade menu background I made based off the concept. All the UI elements I made for Amateurs.